Set in Albufeira, this apartment is 600 metres from Oura Beach. The property features views of the pool and is 700 metres from The Strip - Albufeira. There is a dining area and a kitchen equipped with microwave. Offering a large decked terrace with a hot tub and far-reaching views of Albufeira, this luxurious top-floor apartment features an iPod. The D_Loft is around 10 minutes’ walking from Oura Beach. 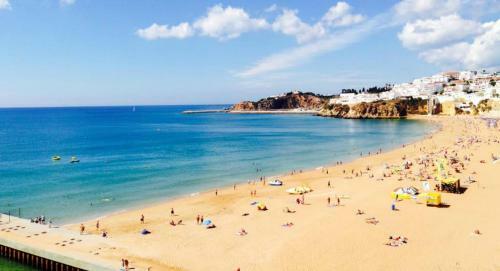 Albufeira II is a holiday home with a barbecue, set in Albufeira, 2.1 km from Albufeira Marina. The property features views of the sea and is 3.2 km from Old Town Square. Free private parking is available on site.